Try before you buy! Try COSMANIA’S Sample Service! The newest revolution from Perricone MD has finally arrived: The Perricone MD Essential Fx Acyl-Glutathione range is the most concentrated, tested, researched and active range yet! The Essential Fx Acyl-Glutathione Deep Crease Serum is designed to target the most stubborn deep-set lines, creases and wrinkles, including deep forehead wrinkles. This intensely hydrating deep wrinkle serum is formulated with Acyl-Glutathione to help reduce the look of deep wrinkles and creases by protecting and replenishing skin. Imperfections appear shallower and expression lines appear erased while a Vitamin F Blend restores suppleness by visibly improving the skin’s moisture barrier. Why Acyl-Glutathione? Simply, because it's The Master Antioxidant! Comprised of three amino acids, Glutathione is the body's main antioxidant and helps to reduce the look of deep creases and improve fragile skin by protecting, repairing and detoxifying. Fat-soluble for maximum stability and penetration. The Essential Fx Acyl-Glutathione Deep Crease Serum also contains a special Vitamin F Blend for Ultimate Moisture Barrier Protection. Flaxseed, chia seed and macadamia seed oils restore suppleness and create a healthy glow by intensely moisturising and improving skin's moisture barrier. Essential yet not naturally found in the human body. Massage Perricone MD's Essential Fx Acyl-Glutathione Deep Crease Serum onto cleansed face and neck using a gentle upward motion. Wait until fully absorbed and follow with your favorite Perricone MD moisturiser. Use morning and evening. Acyl Glutathione: Comprised of three amino acids, Glutathione is the body's main antioxidant and helps to reduce the look of deep creases and improve fragile skin by protecting, repairing and detoxifying. Fat-soluble for maximum stability and penetration. Vitamin F Blend: Flaxseed, chia seed and macadamia seed oils restore suppleness and create a healthy glow by intensely moisturising and improving skin's moisture barrier. Essential yet not naturally found in the human body. Squalene: Squalane is an oil that is identical to a particular type of fat that occurs naturally in our skin but is depleted as we get older. Squalane is extracted from plants and other organisms. The majority of the squalane used in cosmetics is derived from either sharks or olives. The squalane found in the products of Squalan are 100% derived from Ecocert-approved sugar cane. 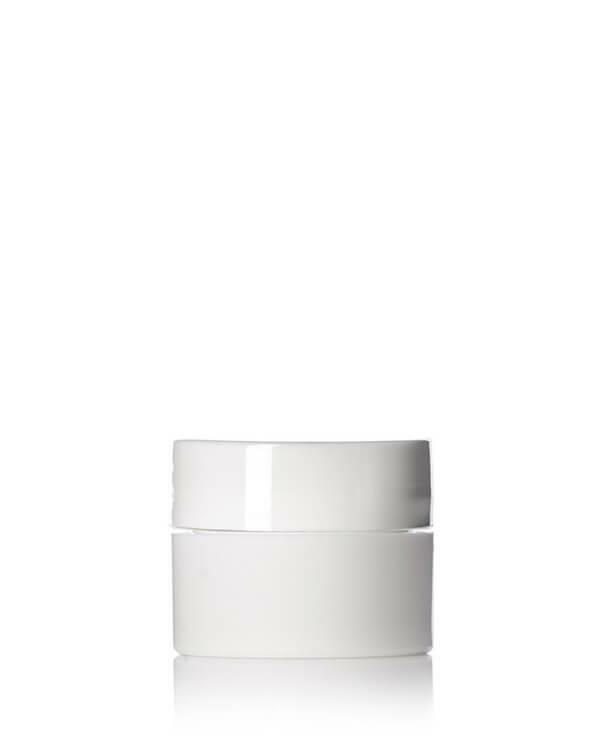 Squalane gives your skin back what it originally contained, restoring its natural balance. Dry skin becomes less dry, oily skin less oily, and beautiful skin becomes even more attractive. It hydrates the skin, improves the skin’s ability to repair itself, reduces wrinkles and fine lines, restores elasticity and heightens the skin’s radiance. Vitamin C Ester: the ideal therapy for sun-damaged skin, Vitamin C Ester minimizes discoloration while visibly firming and brightening skin’s appearance. DMAE: DMAE (dimethylaminoethanol) is a powerful anti-inflammatory substance that acts as a cell membrane stabilizer and is critical to the process in which muscles contract and tighten. Dr. Perricone's signature patented ingredient DMAE helps prevent and correct the loss of skin elasticity. Argerilene & Rosemary Extract: Calming and anti-bacterial. Ingredients: Water / Aqua / Eau, Propanediol, Squalane, Hydrogenated Polyisobutene, S-Palmitoylglutathione, Dimethicone, Glycerin, Macadamia Ternifolia Seed Oil, Xylitylglucoside, Tetrahexyldecyl Ascorbate, Dimethyl MEA, Palmitoyl Tripeptide-5, Acetyl Hexapeptide-8, Anhydroxylitol, Lactic Acid , Xylitol, Xanthan Gum, Linum Usitatissimum (Linseed) Seed Oil, Salvia Hispanica Seed Oil, Tocopherol, Ethylhexylglycerin, Magnesium Aspartate, Zinc Gluconate, Alaria Esculenta Extract, Glucose, Sodium Hyaluronate, Copper Gluconate, Tetradecyl Aminobutyroylvalylaminobutyric Urea Trifluoroacetate, Palmitoyl Dipeptide-5 Diaminobutyroyl Hydroxythreonine, Helianthus Annuus (Sunflower) Seed Oil, Rosmarinus Officinalis (Rosemary) Leaf Extract, Tetrasodium Glutamate Diacetate, Magnesium Chloride, Caprylic / Capric Triglyceride, Acrylates / C10-30 Alkyl Acrylate Crosspolymer, Caprylyl / Capryl Glucoside, Caprylyl Glycol, Potassium Sorbate , Phenoxyethanol, Fragrance / Perfume, Citronellol, Hydroxycitronellal, Limone ne, Linalool.